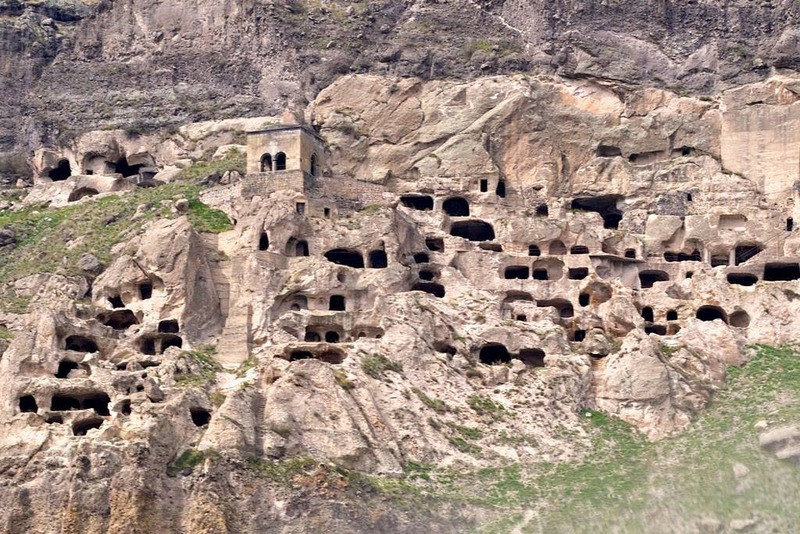 The Cave City of Vardzia is situated in the European country of Georgia at the juncture of Eastern Europe and Western Asia. 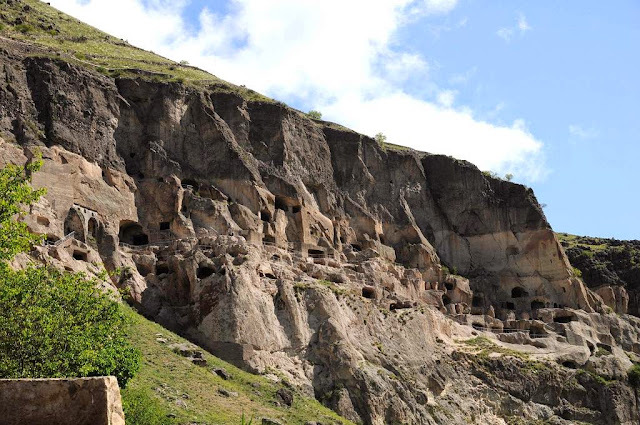 The Cave City has more than 800 years of history, you would be wondering why such a great place was built in the first place. The words why and how brought in mind first. 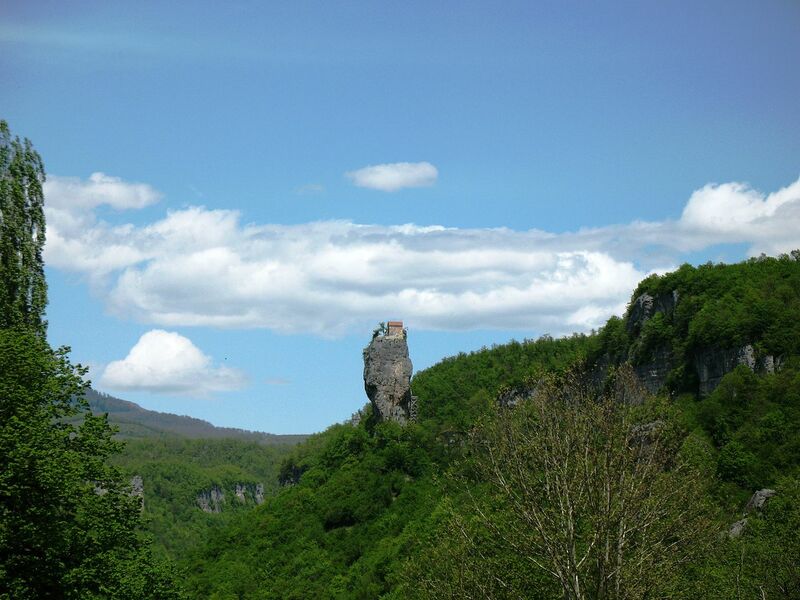 In 1185 a woman, “Tamar”, wished to build a monastery by seeing flowering culture on the throne of Georgia. 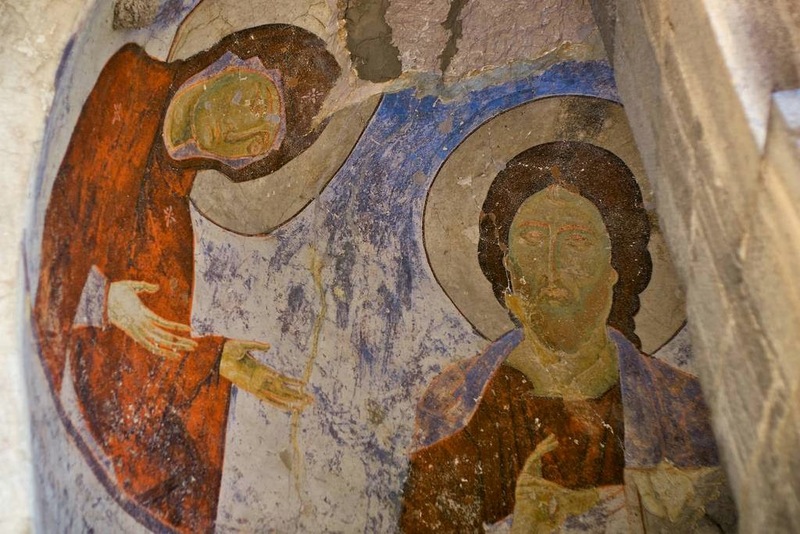 This was a first for the country and extremely unusual in the Europe of the twelfth century. 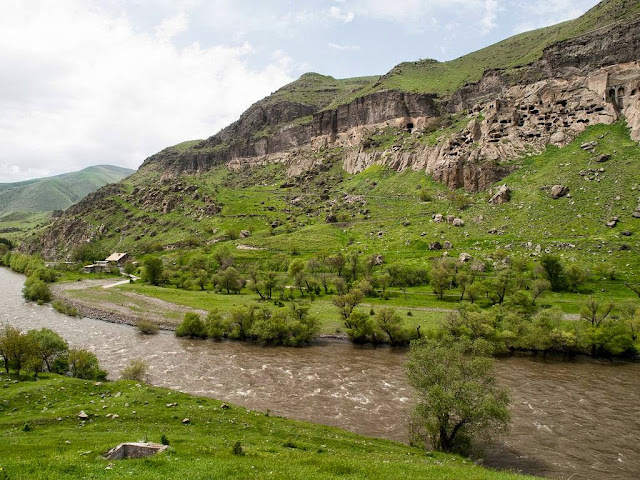 There was, however, a problem, when the Mongol empire had been inexorably expanding and little Georgia was under threat continually. 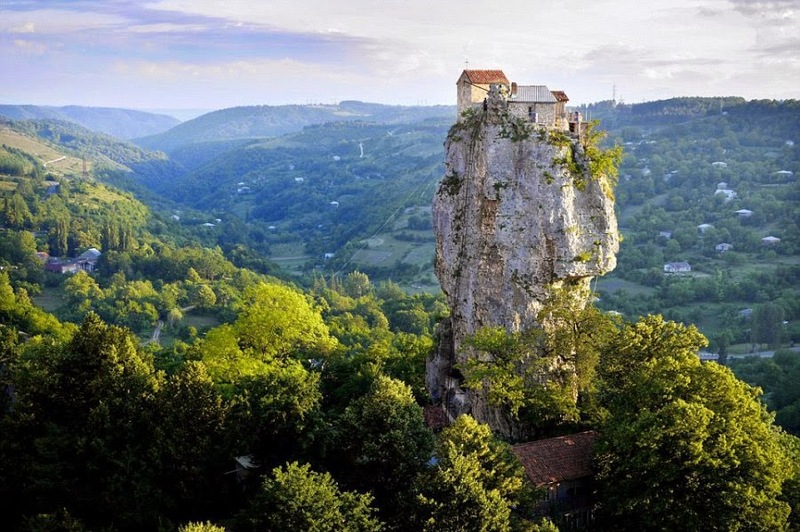 What better an idea, then, for their fabled Queen to have her monastery carved from solid rock? 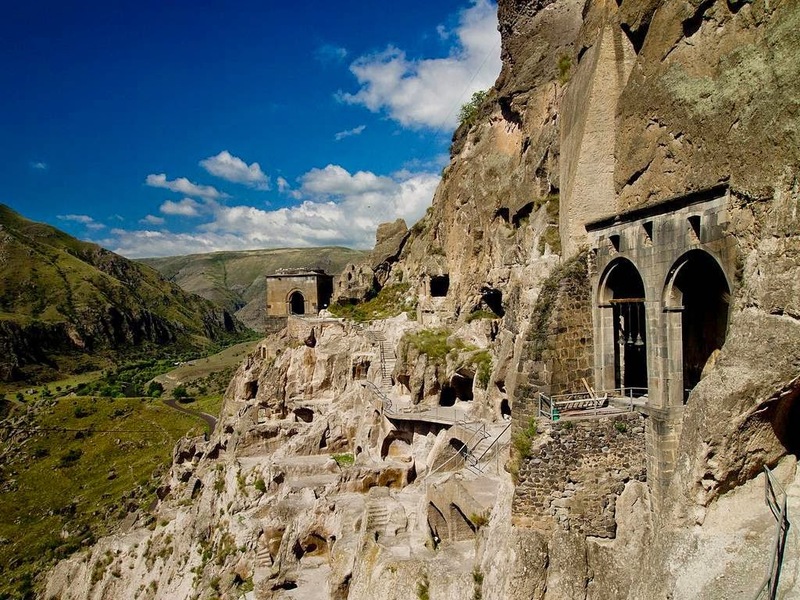 It looks like it is the ruins of some huge Tolkien city, Minas Tirith in ruins. 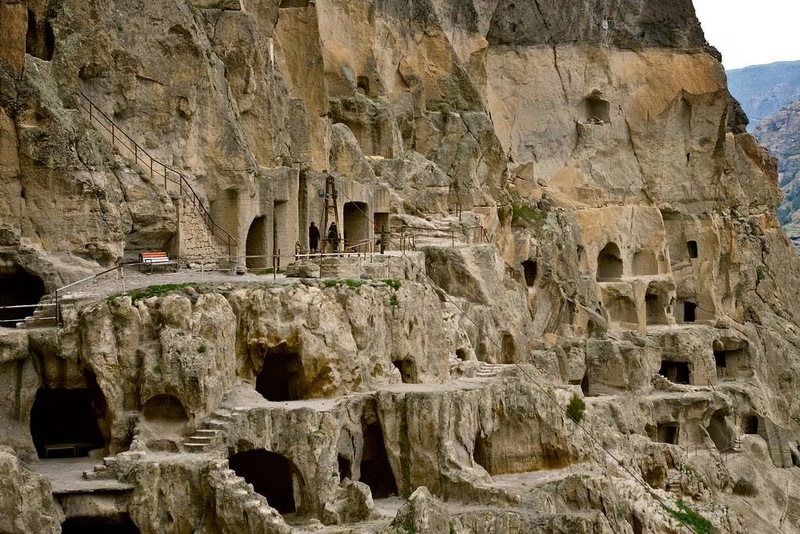 Yet this was not to be the home of dwarves but of monks – and many of them. 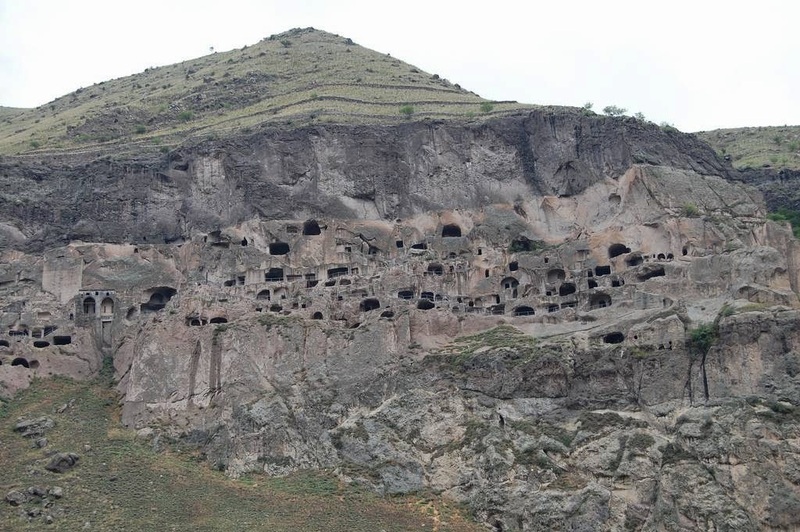 Desperate times lead to desperate measures and to help her people avoid the Mongol onslaught, Tamar commanded that an underground sanctuary be built. 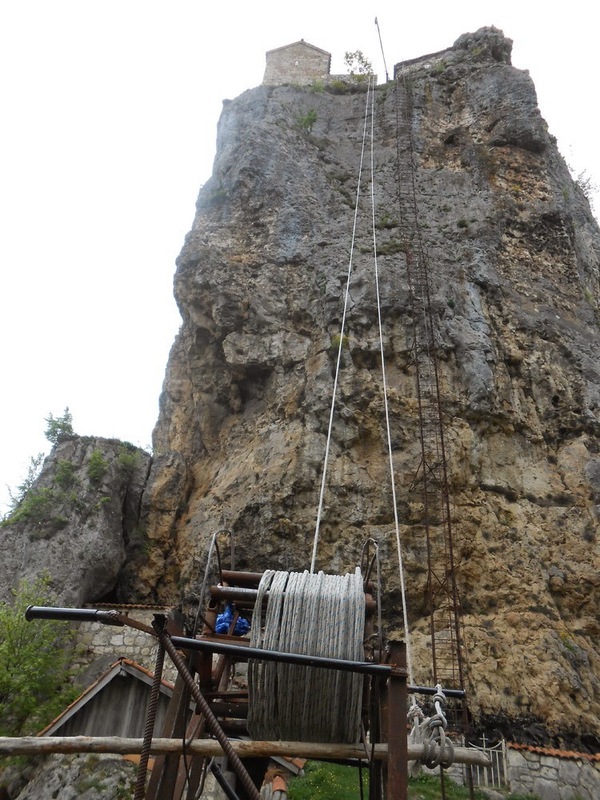 The town of Aspindza was selected and the secret work started under the nearby Erusheli Mountain. The 25 years old Queen started the construction and had been on the throne only a year. 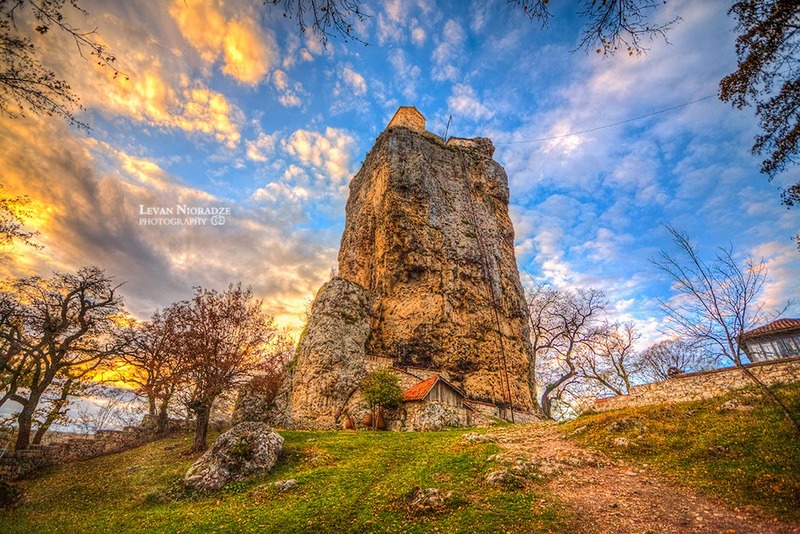 Nobles tried determinedly to usurp her position, on grounds of her relative immaturity and of course her gender but she ruled for 29 years. 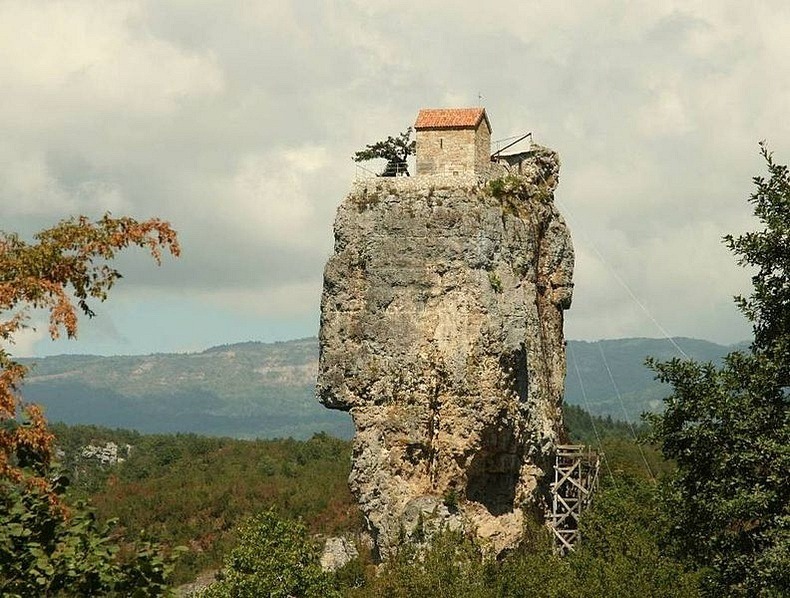 A warrior queen she is still revered by many in Georgia. 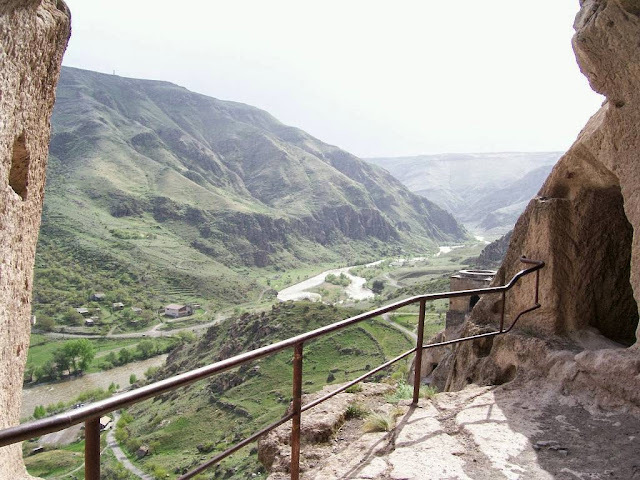 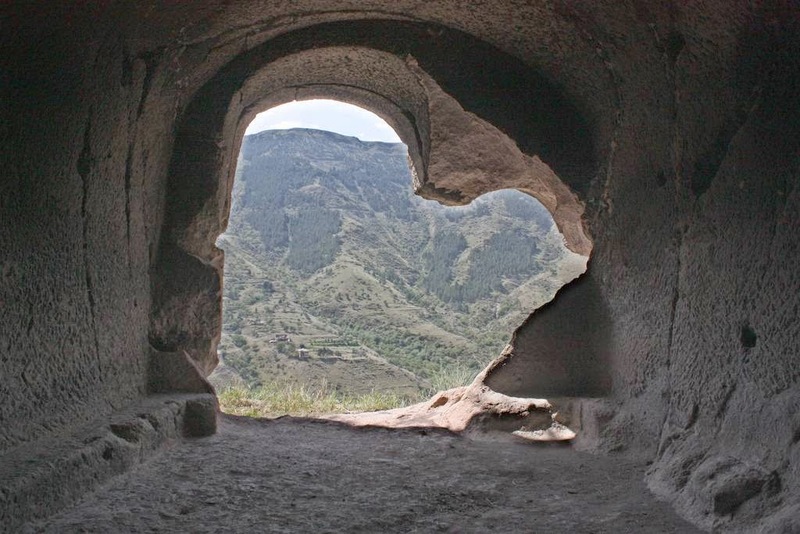 The City of Vardzia would be a massive construction job now but in the 12th century it was a gigantic, epic labor one which was fueled by both the adherence to the Christian faith and the Georgian determination that their lifestyle and culture should not be destroyed by the invading Mongols. Overall, 13 levels were constructed with natural caves being enlarged to contain over 6,000 dwelling places for monks and for those fleeing invaders. 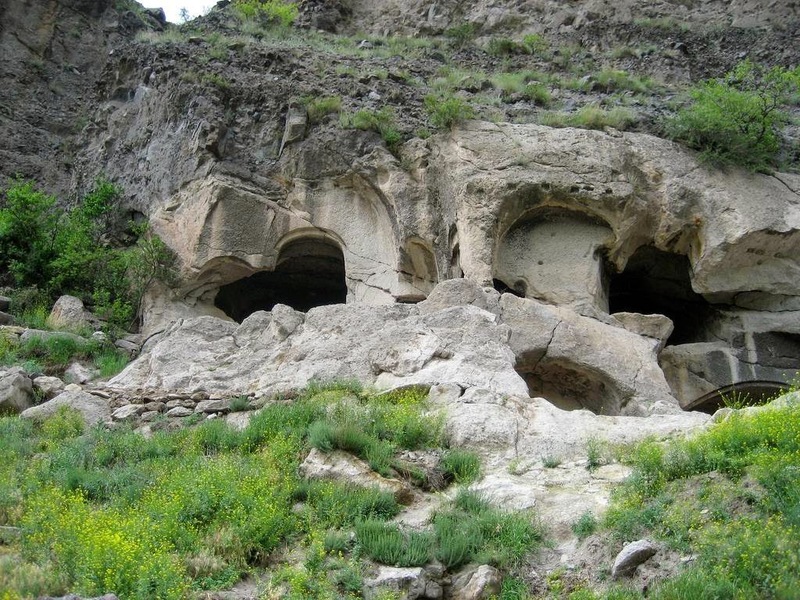 The only way to get to this underground kingdom was via a secret tunnel which started at the adjacent Mtkvari River. 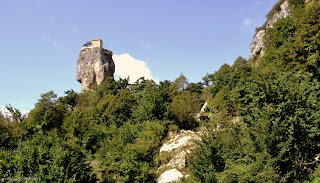 On the outside of the hidden monastery the land of the mountain was very productive. The monks formed a system of irrigated terraces that would feed those inside. 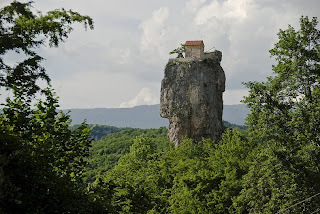 It is hidden within the mountain and perhaps the first example of an eco-friendly self-sustainable (in terms of food and water) structure in Europe, it must have been considered impregnable. 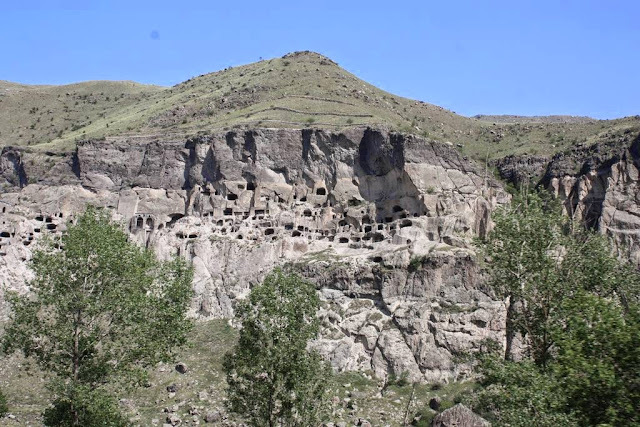 Yet nature had an unpleasant surprise for the cave city of Vardzia. 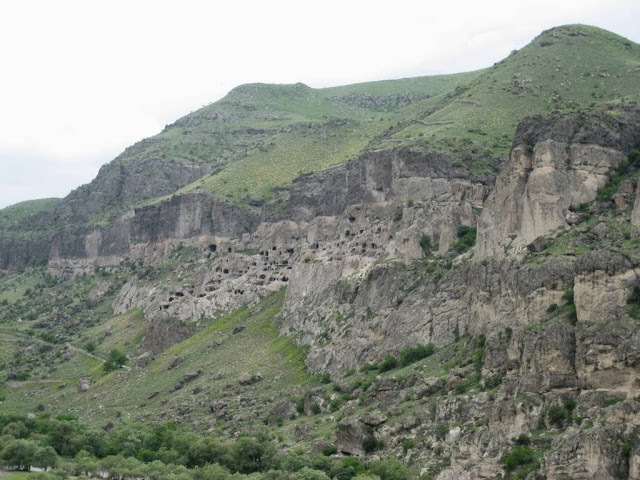 The city escaped the Mongols triumphantly. 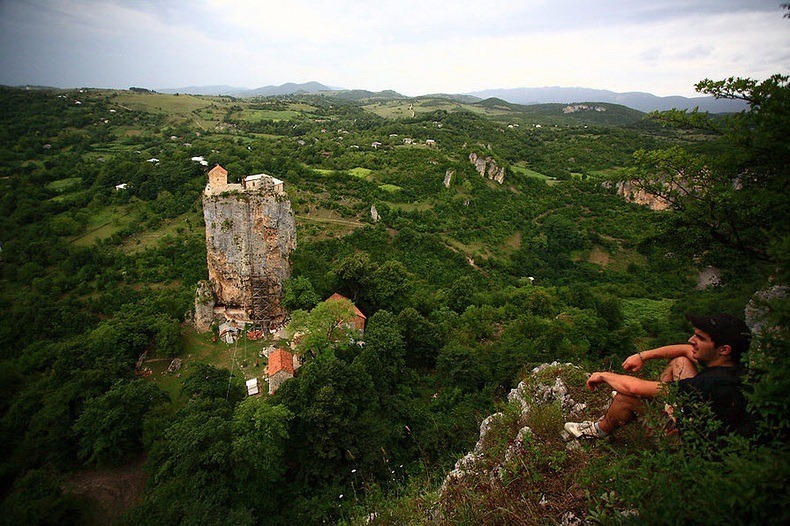 Yet less than a hundred years after its construction, the great earthquake of 1283 brought devastation to the country. 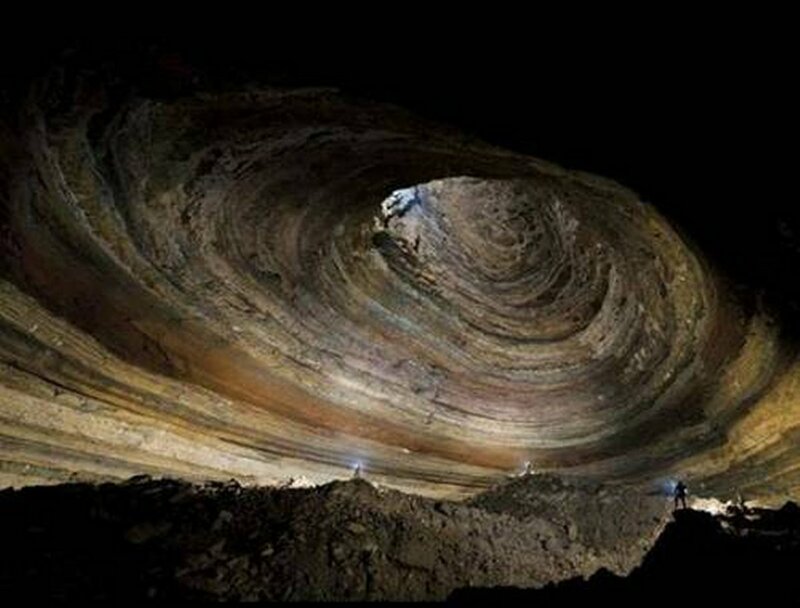 It was so powerful that it ruptured the cave system, causing much of it to collapse and cascade down the side of the Erusheli Mountain. 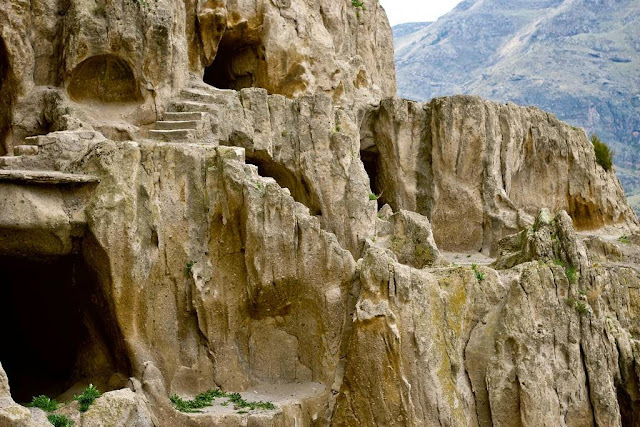 The remnants of the terrace walls on the top of the mountain, where the mountain simply sheared off and simply dropped to the ground below, exposing the monastery within. The event was cataclysmic, and have seemed like a punishment of God to the residents of the city, maybe retribution for the pride they had taken in magnificently defending their nation from the Mongols. However, 2/3 of the hidden city was destroyed and its unseen intestines were exposed to the world on the side of the mountain. The monastery, more than simply decimated, did not give up. 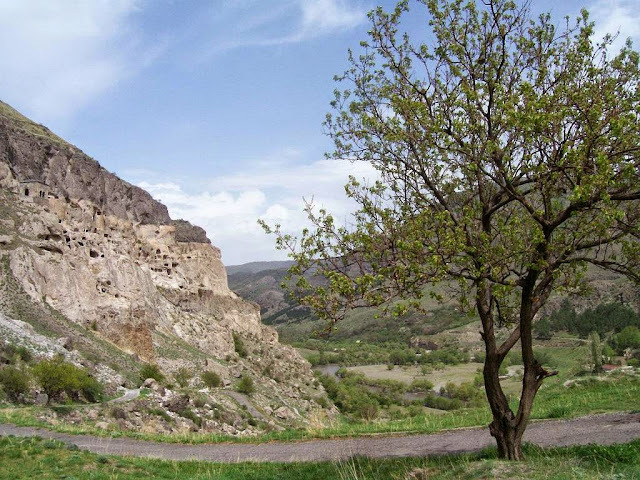 It continued until 1551 but was then attacked and pillaged by the Persian Sash Tahmasp who badly slaughtered the monks. 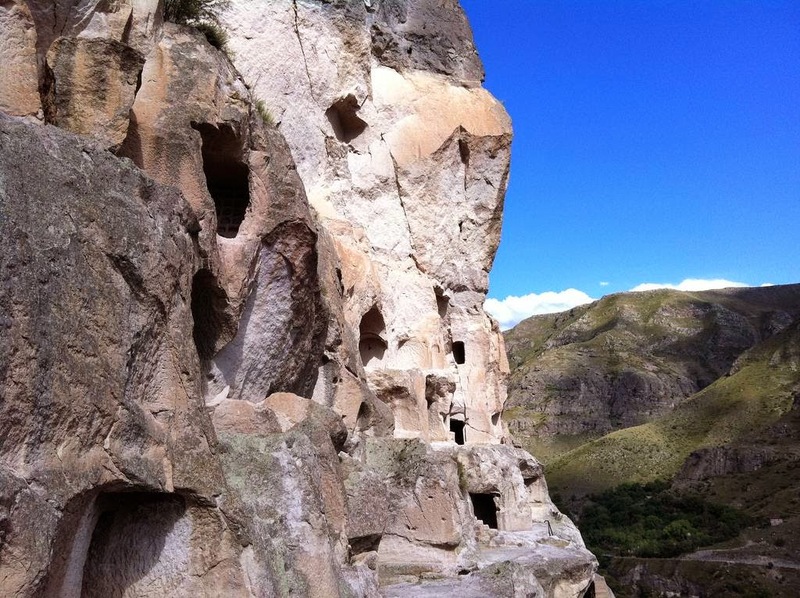 It was the period when Vardzia was finally abandoned. However, in the 20th century the monastery was revisited by monks who decided to guard its history and a small group remains there to this day. It is more of a museum now than a monastery but still serves as a reminder of the extremes a people will go to in order to protect their culture as well as the savage vagaries of nature. 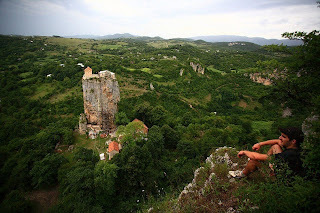 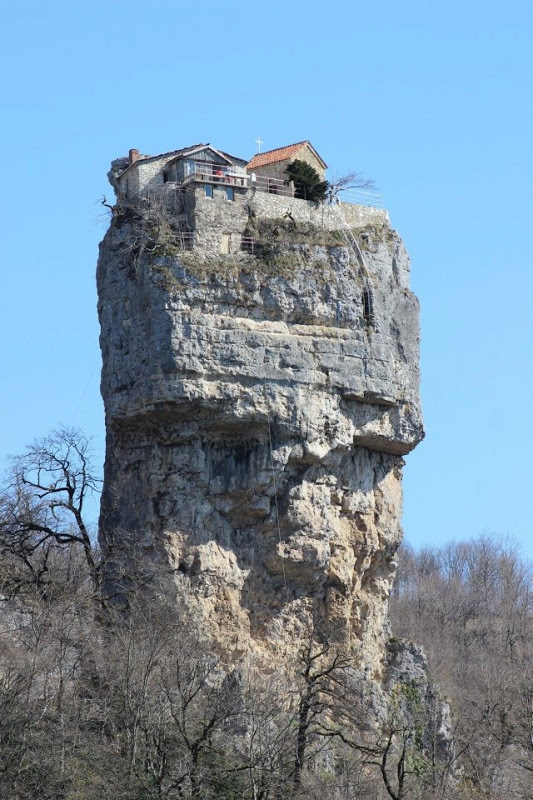 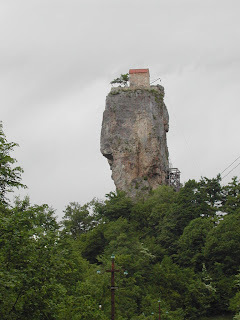 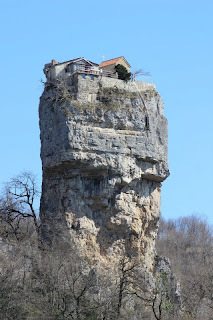 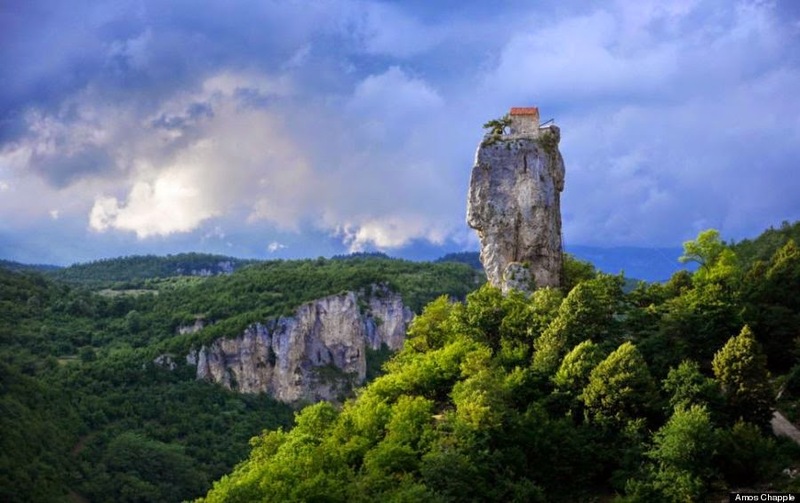 The Katskhi pillar is a natural limestone monolith located at the village of Katskhi in western Georgian region of Imereti, near the town of Chiatura. 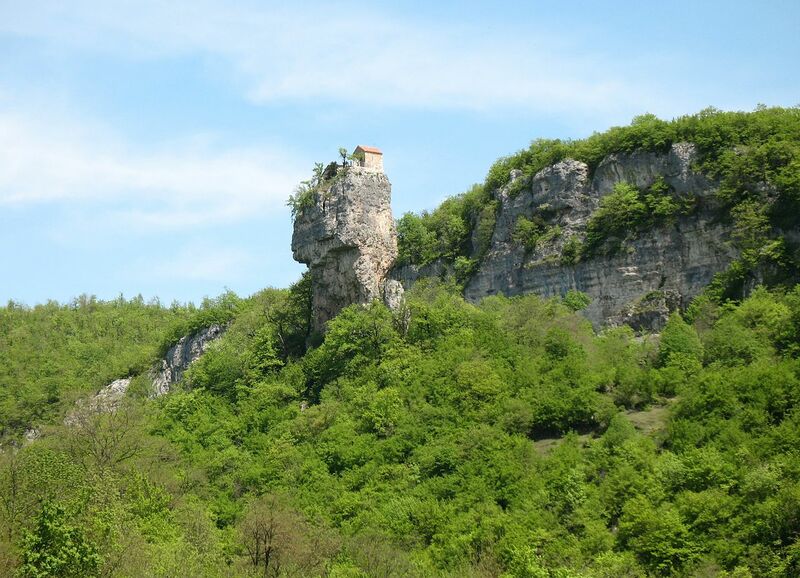 It is approximately 130 ft high, and overlooks the little river valley of Katskhura, a right affluent of the Q'virila. 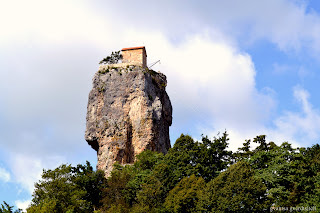 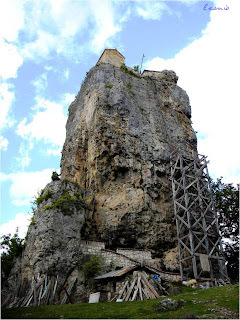 The rock, with visible church wrecks on its top surface of around 150 m2, has been venerated by locals as the Pillar of Life, symbolizing the True Cross, and has become surrounded by legends. 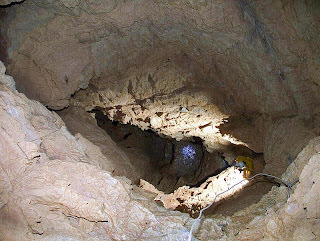 It remained unclimbed by researchers and unsurveyed until 1944 and was more systematically studied from 1999 to 2009. 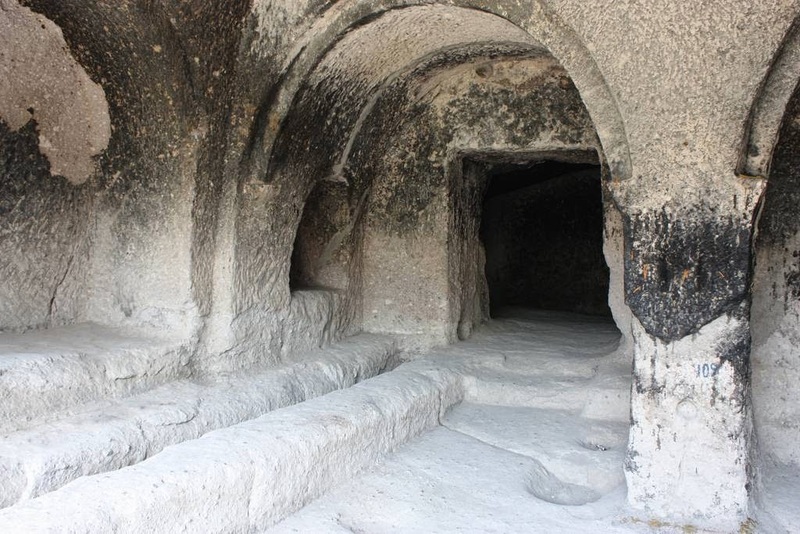 These studies showed the early medieval hermitage, dating from the 9th or 10th century. 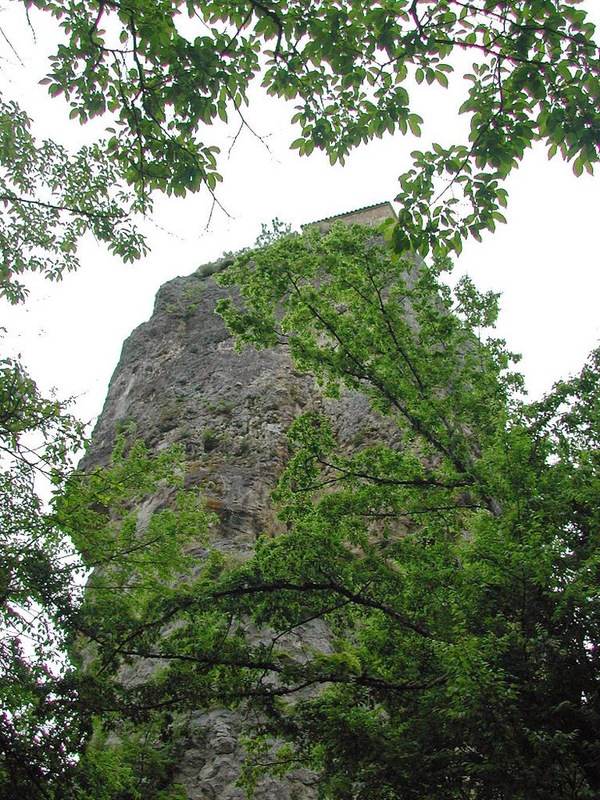 A Georgian inscription paleographic ally dated to the 13th century suggests that the hermitage was still extant at that time. 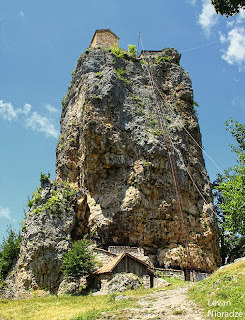 Spiritual activity associated with the pillar started to recuperate in the 1990s and the monastery building had been restored within the framework of a state-funded program by 2009. 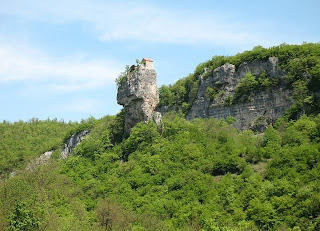 In historical records, the Katskhi pillar is first mentioned by the 18th-century Georgian scholar Prince Vakhushti, who reports in his Geographic Description of the Kingdom of Georgia: "There is a rock within the ravine standing like a pillar, considerably high. 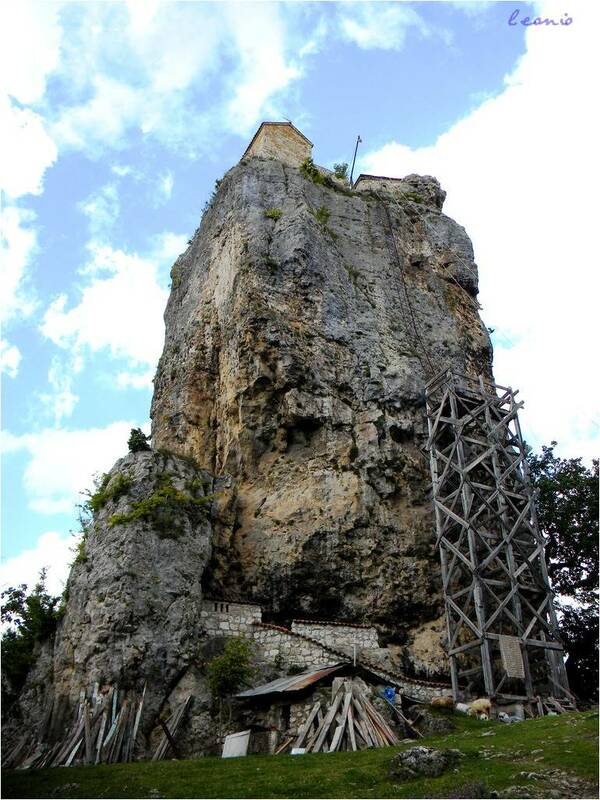 There is a little church on the top of the rock, but noone is able to ascend it; nor know they how to do that." No other written accounts of monastic life or ascents survive. 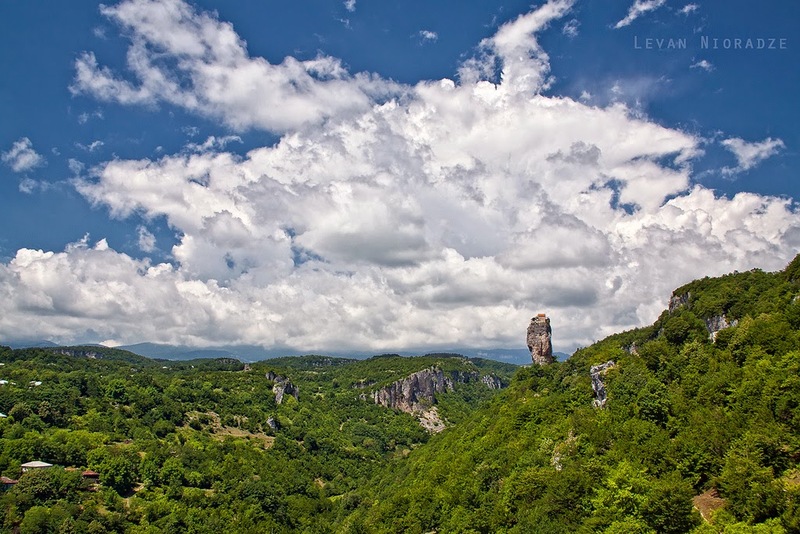 A number of local legends surround the pillar. 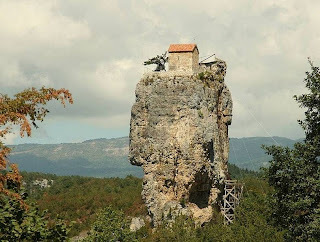 One of them has it that the top of the rock was connected by a long iron chain to the dome of the Katskhi church, situated at a distance of around 1.5 km from the pillar. In July 1944 a group led by the mountaineer Alexander Japaridze and the writer Levan Gotua made the first documented ascent of the Katskhi pillar. Vakhtang Tsintsadze, an architecture specialist with the group, reported in his 1946 paper that the wrecks discovered on top of the rock were remains of 2 churches, dating from the 5th & 6th centuries and associated with a stylist practice, a form of Christian asceticism. Since 1999, the Katskhi pillar has become the subject of more systematic research. 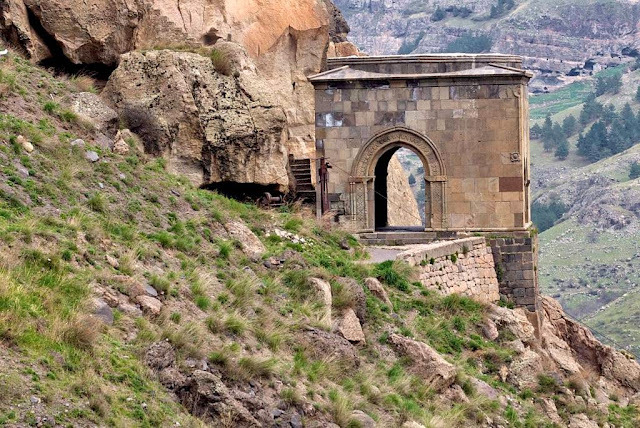 Based on further studies and archaeological digs conducted in 2006, Giorgi Gagoshidze, an art historian with the Georgian National Museum, re-dated the structures to the 9th & 10th century. 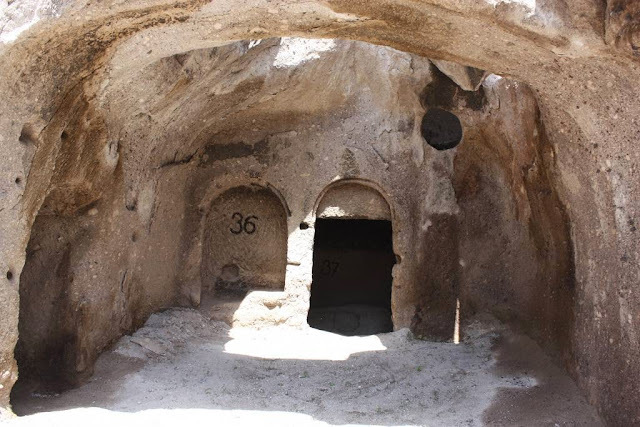 He concluded that this multifaceted was composed of a monastery church and cells for hermits. 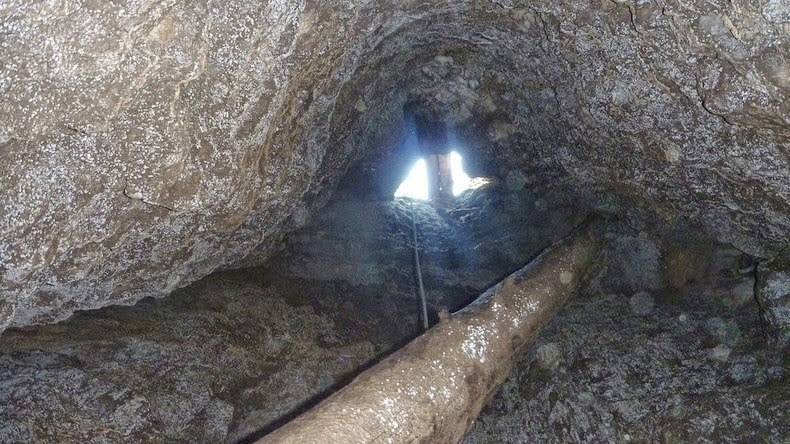 Discovery of the leftovers of a wine cellar also undermined the idea of exciting ascetism flourishing on the pillar. 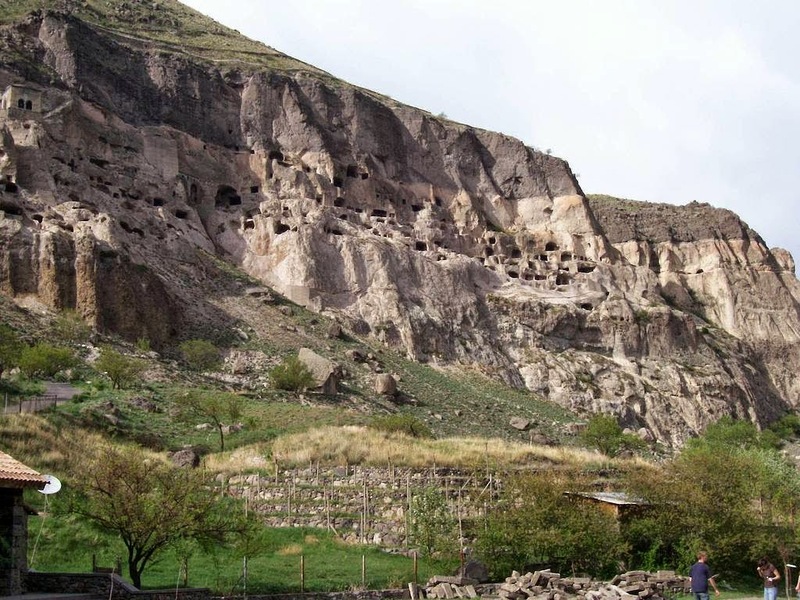 In 2007, a slight limestone plate with the asomtavruli Georgian inscriptions was found, paleographically dated to the 13th century and revealing the name of a certain "Giorgi", responsible for the construction of three hermit cells. The inscription also makes mention of the Pillar of Life, echoing the popular tradition of veneration of the rock as a symbol of the True Cross. 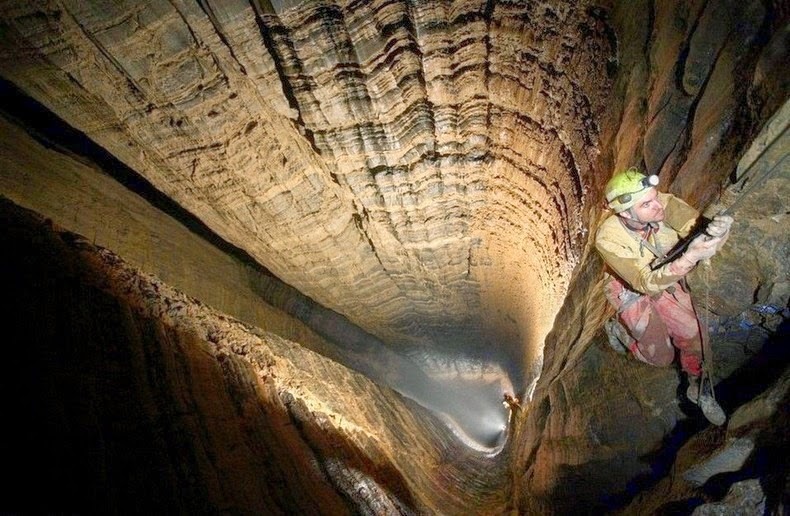 Krubera Cave, also called as Voronya Cave (Russian for “Crow’s Cave”) is the deepest known cave on Earth. 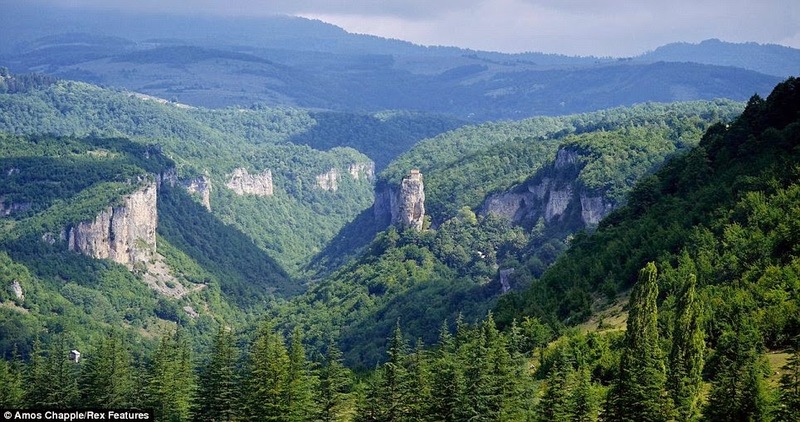 It is well located in the Arabika Massif, one of the largest high-mountain limestone karst massifs in the Western Caucasus region of Georgia. 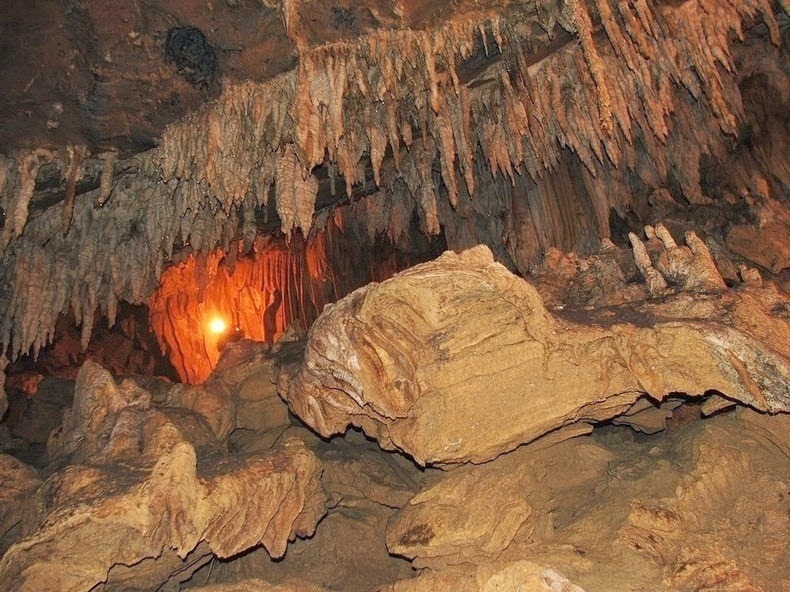 This mountain block contains more than a few hundred caves that started to develop when the mountains begun to rise over five million years ago. Interesting 5 of these caves are deeper than 1,000 meters; Krubera is 2197 meters deep and is the only recognized cave on Earth deeper more than 2,000 meters. 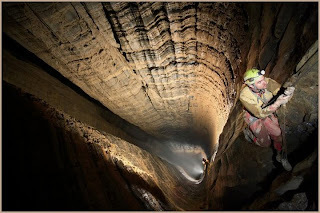 Krubera Cave “Voronya Cave” is a 16,058 meters long, which have deepest cave system for most part consist vertical deep wells which are connected with passages. 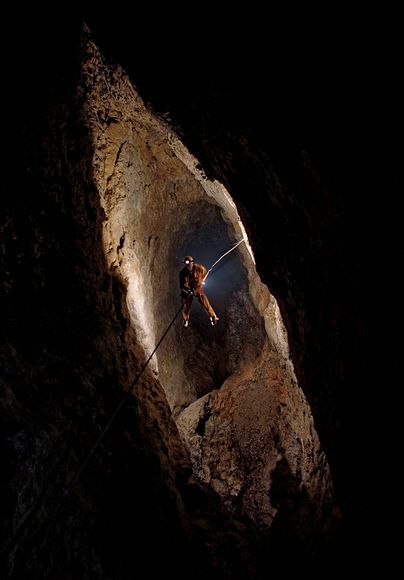 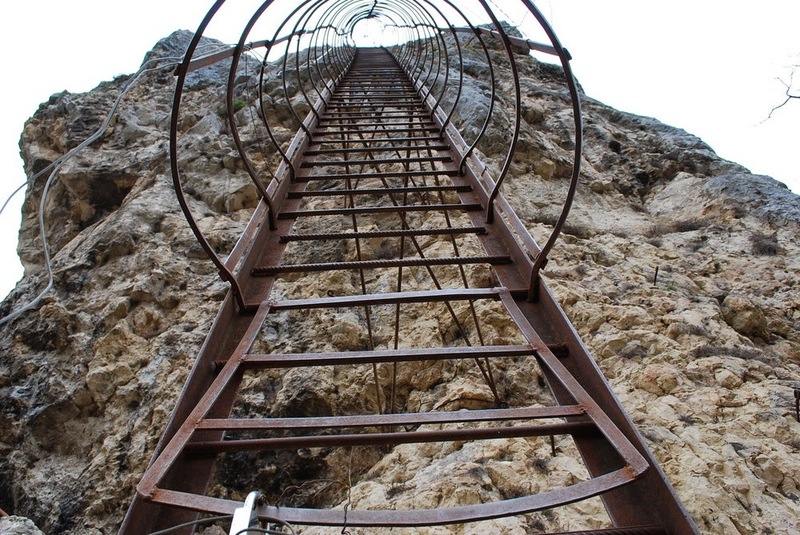 The cave starts high in the mountains, at an altitude of 2,256 meters, with a narrow entrance. 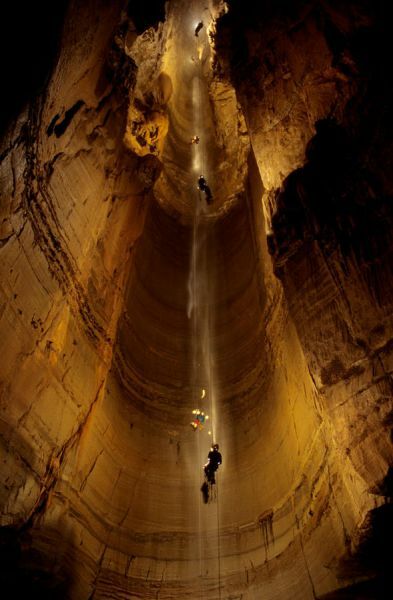 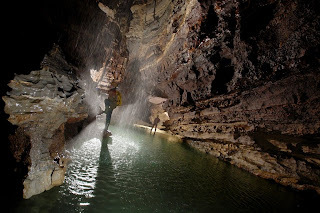 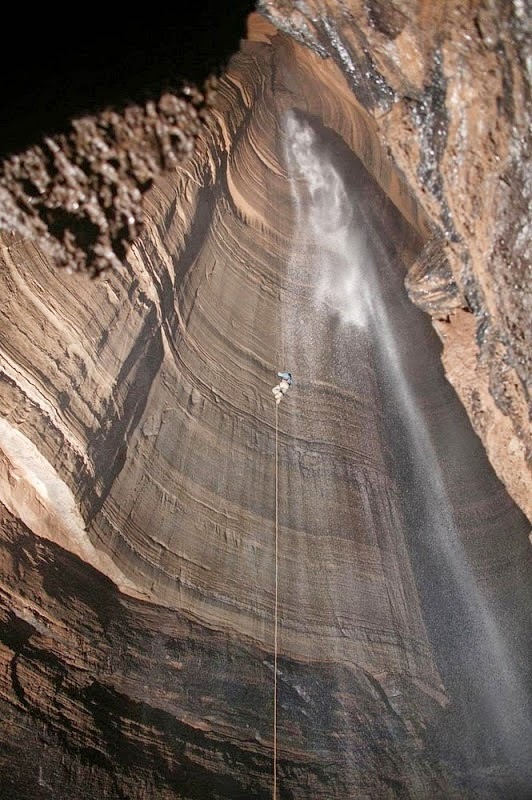 Krubera Cave often is very narrow and had to be carved at various places to let safe passage. 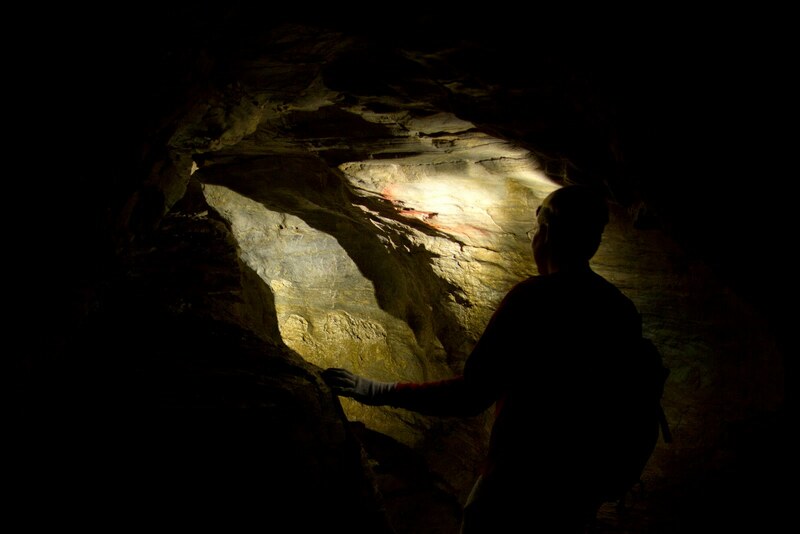 At other places, the passageway is as big as subway tunnel. 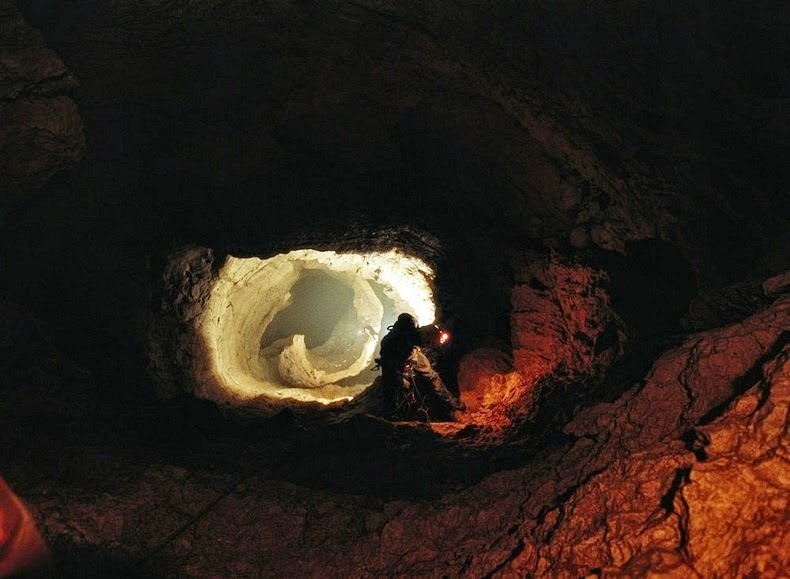 At the depth of 200 meters, the cave splits into two main branches Non-Kuybyshevskaya (explored to the depth of 1,293 m in 2008) and Main (2,197 m deep). 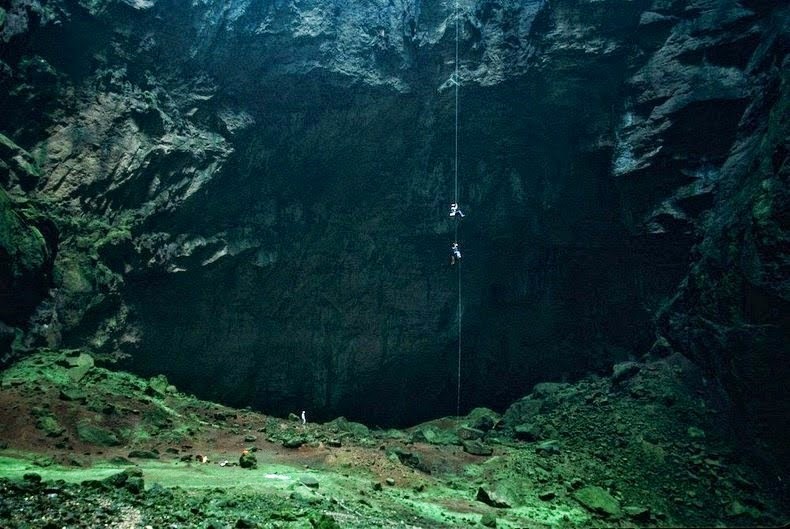 At the depth of 1,300 meters the cave further divides into many branches. 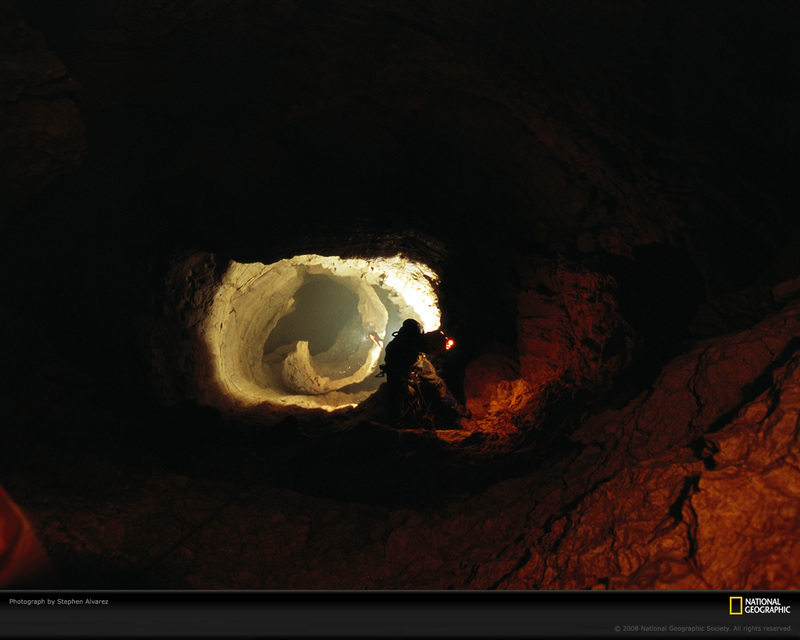 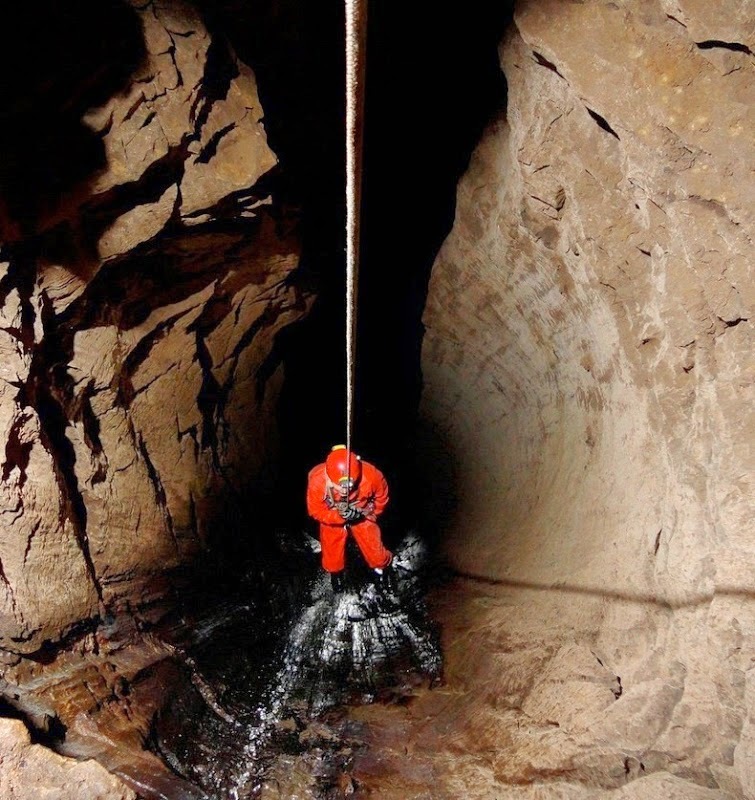 When speleologists started exploring the cave, one of the hardships they faced were flooded tunnels called "sumps." 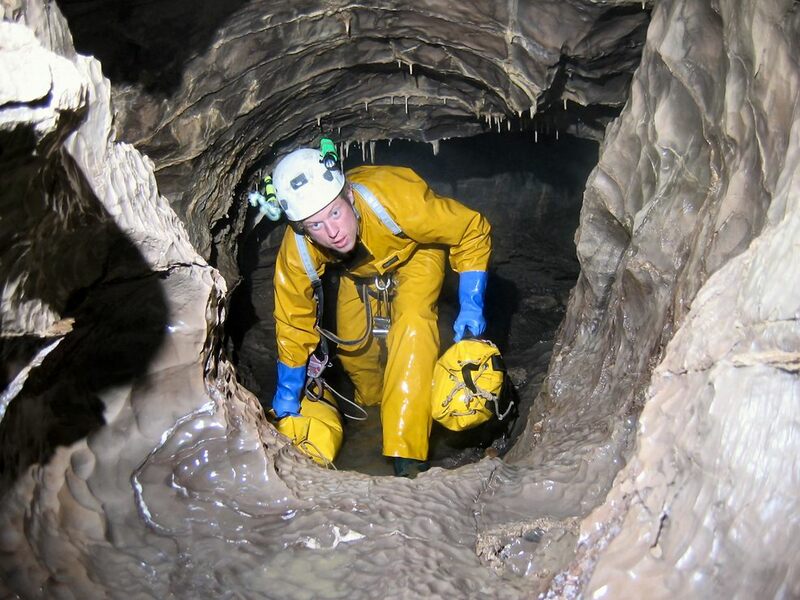 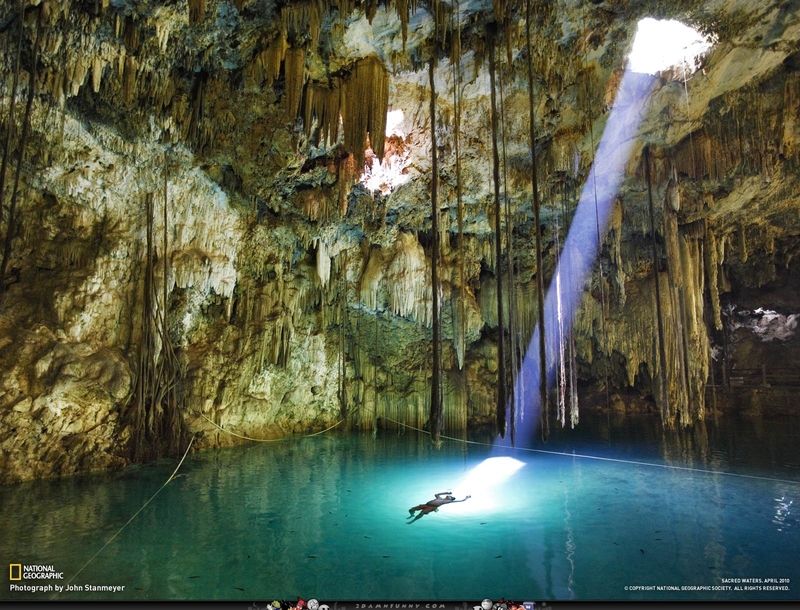 When they come across a sump, cavers have to put on scuba gear and charge ahead. 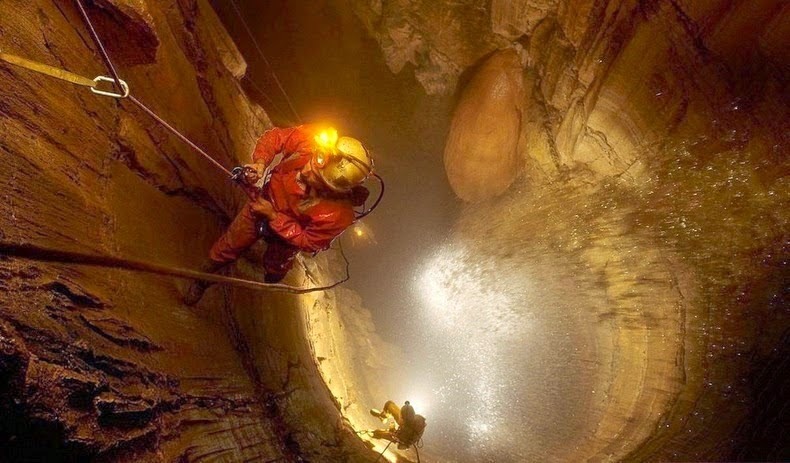 One of the sumps the deepest one has been dived up to 52 meters depth. 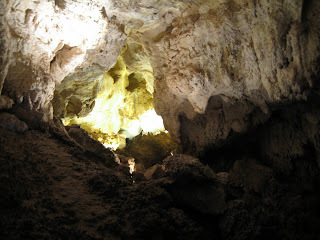 The cave now is very prevalent destination for the expeditions coming from several countries.